The selling season has gotten off to a strong start in the Willamette Valley, and there are a few forces that are coming together to make this happen. First, the Fed momentarily backed off of another increase in long-term interest rates, after seeing that inflation wasn’t a threat yet. That has definitely helped put people in a buying mood. Second, we are finally seeing millennials jump into the housing market which is keeping demand steady. The third reason is somewhat of a local factor, but after two years of smoke throughout the month of August, sellers are now beginning to avoid late-summer listings because it’s hard to sell a home when it’s smoggy and dark out. As a result, sales have picked up later in the year after a brief respite from the smoky skies. Right now, January picks up some of that fall over flow and also the spring early birds, so to speak. Listings were up 15 percent this past January over January 2018, which is fantastic news for sellers. Sales were also up in January in part because a greater portion of inventory was discounted compared to previous months. Months of inventory was also up huge year over year, from just 2.51 months in 2018 to 3.07 months in 2019. That’s a 22 percent increase. While we are still far from a truly balanced market, these are great signs for buyers that the field is finally starting to level out a bit. 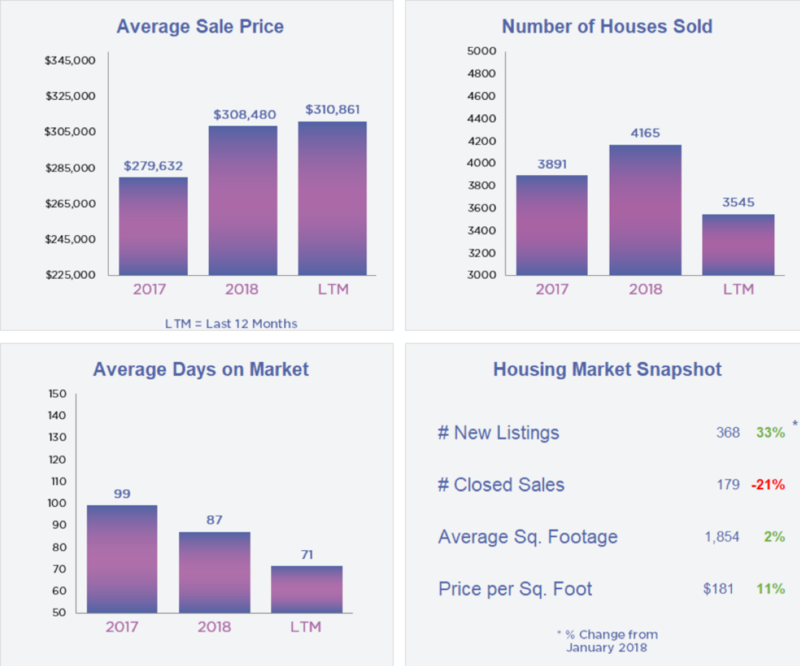 In the midst of all these new listings, closed sales in January were down to the lowest levels we’ve seen since 2016. Of course, that could be due to the government shutdown that lasted into mid-January, which impacted all federal loans closing, and any buyers getting down-payment assistance. So that trend likely won’t hold for long. Sellers are still in a great position, as the market easing up on buyers will only encourage more to stick their heads out. Prices are still holding strong and even continuing the steady creep up. With more competition on the market, sellers whose listings are buttoned up and looking fresh will really stand out. We’re also keeping our eyes on several bills working their way through Salem right now that could potentially impact Oregon home owners, such as rent control and a bill that would prohibit restrictions on zoning for single-family dwellings only.